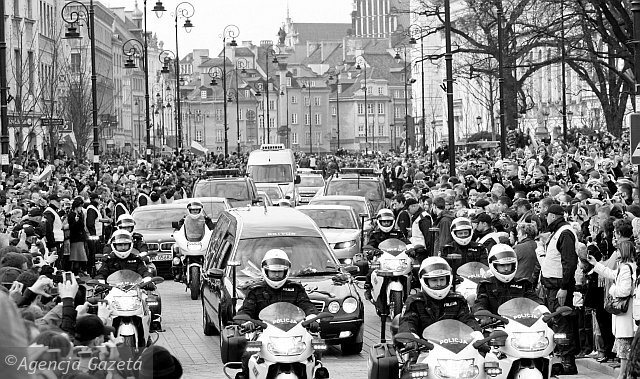 The tragic accident that has taken the lives of so many Polish officials is truly shocking. I extend my deepest sympathies to my family and friends in Poland and to the nation as a whole. Once again , another tragic event and sad day for the country of my forefathers. My sincerest heart felt sympathies to my family and dear friends, and to all of the people of Poland. I am sending my sympathies and condolences to you. I am very shocked and very sad. Please be strong during tragicies. I do hope you have Temporay Government workers during this times of mourning. My God Bless them and Poland. I will be thinking about Poland and Polish People. I am sure my relatives are very upsets and I can hear them crying out loud. I have met them in Chicago, IL. I know. Take Care and Please Keep In Peace! 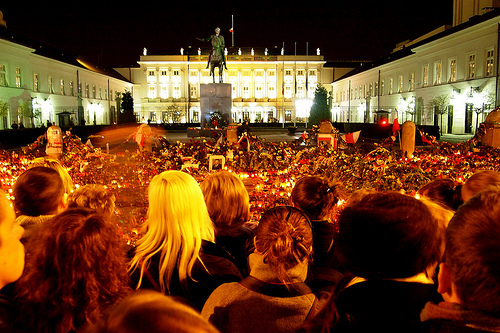 The new Poland's Acting President Bronislaw Komorowski has declared a week of national mourning on Saturday. My heart is heavy in solidarity with Poland and its people during this period of grieving for the souls lost from this tragedy. I've learned so much more now about the lives that were taken beyond Preident.Kaczynski and his wife and that has added to my appreciation and sadness of this event in Poland's soul. But the strength and determination of Poles will endure--of that, I am very proud and grateful. I wanted to thank you for nice pictures. I am wondering how is President's daughter doing since she lost both parents? No one isn't saying any. Is she married with children and nice husband? I feel bad for her and her twin uncle. 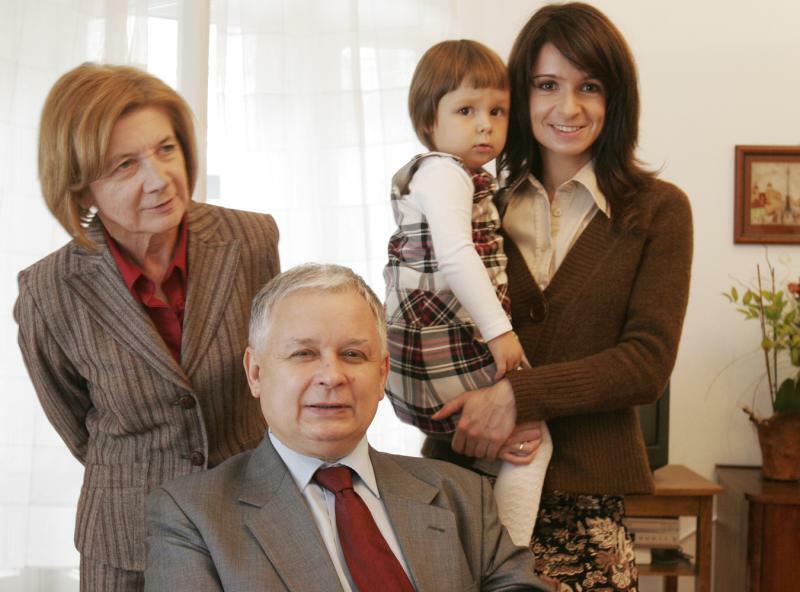 Lech Kaczyński with his wife, daughter and one of granddaughters. Oh, Zenon, thank you very much. They are beautiful family. I never paid attention about Polish President and First Lady before Walesa. How long President Lech Kaczynski been president and what city he is from. My family are living near Krakow. How come they are buried in Krakow? Just wondering. I did watch Polish Furneral and it is really heartbreaking. Lech Kaczyński and his twin brother Jaroslaw were born in Warsaw and have lived there for their whole life. 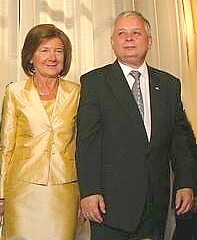 Lech Kaczynski was the President of Poland since 2005 and was one of major candidates in this year presidental election. He was burried together with his wife Maria in sarcophagus, placed beneath the Wawel Cathedral in Kraków where many of Polish kings and major leaders, like the first Chief of State after regaining liberty in 1918 by Poland Józef Piłsudski, are burried. A very good quality information about Lech Kaczyński can be found on wikipedia: http://en.wikipedia.org/wiki/Lech_kaczy%C5%84ski . A tragedy that is hard to wrap your head around. My prayers go out to the people of Poland and the loved ones left behind. I was quite shocked for three reasons when I heard this news. The first reason was because the last words my Dad put down in a notebook before he passed away were the words "Massacre at Katyn". He just handed it to me without saying a word. He'd been through a lot during those war years but didn't speak much about it because there weren't any words to describe it. But he obviously wanted to express something about that event. The second reason I was shocked was because of the circumstances - why were so many Polish dignitaries flying on one airplace together? Surely for security reasons it would have been best if they had flown separately? The third reason was how such a major event, with so many tragic losses was not very much publicised or discussed or explained in the world media afterwards.